The lazy day’s rest at Greenhead Hotel, plus lucking out by being on the winning side at pool, was just the rejuvination ticket I needed before forging ahead today. 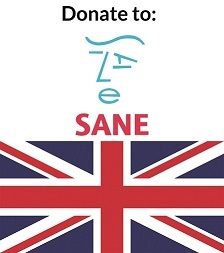 The home-made cake at the tea-room probably helped too. 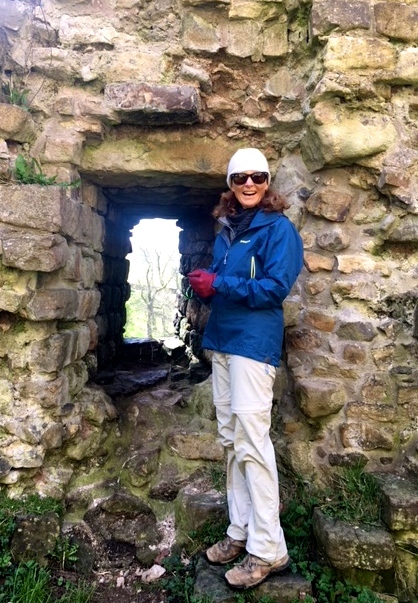 I was hugely excited to be walking along side Hadrian’s Wall today. 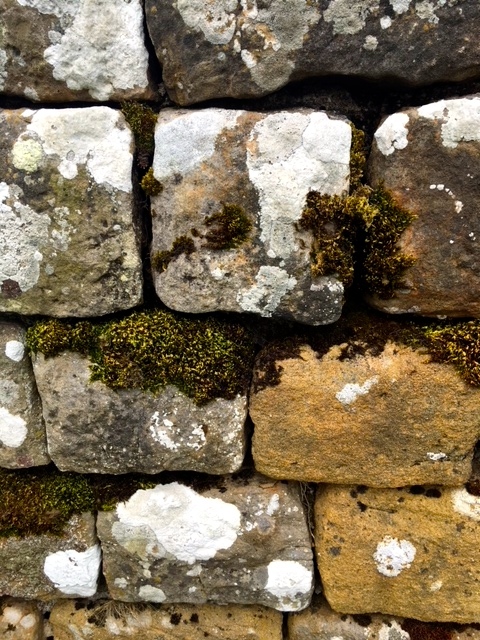 Despite growing up in UK I’d only ever seen how the Wall looked in picture books. 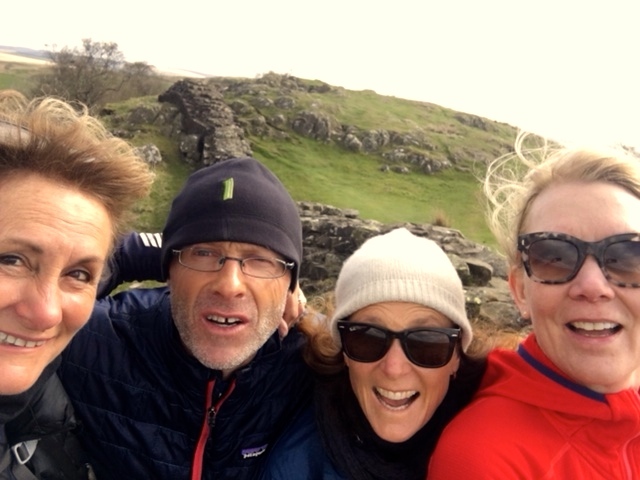 I may have farewelled a merry crew yesterday, but I was lucky today to be joined by Beck and John from Down Under and Sue, a dear friend who I hadn’t seen for over a decade. 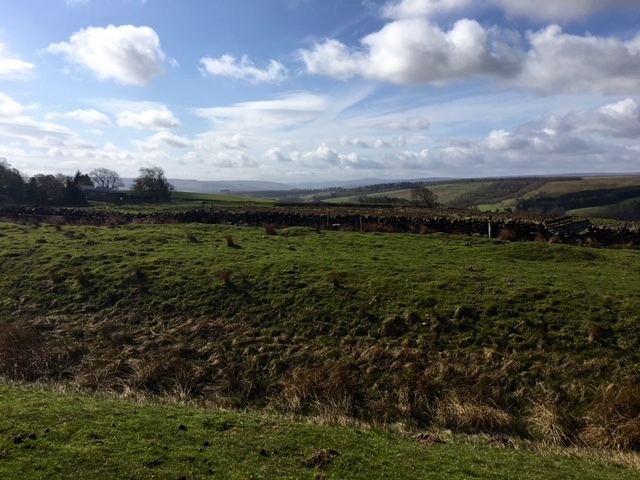 The sun shone as we set out from the warm and friendly Greenhead Hotel. 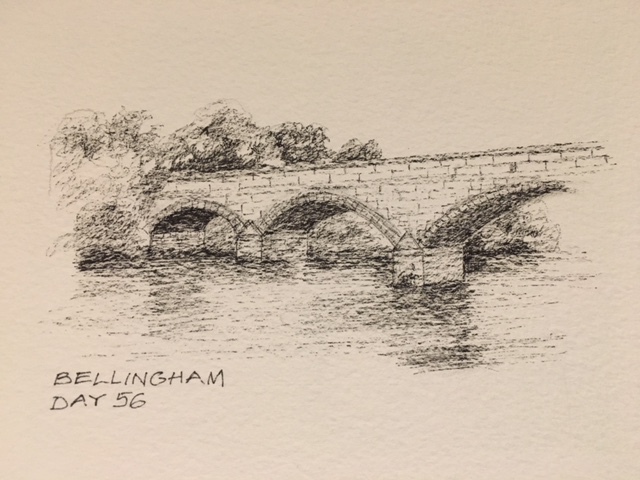 We followed the River Tipalt until Thirlwall Castle came into sight, sitting uncomfortably among farm buildings. We decided to take a quick detour so we could take a peek. It’s in ruin now but when it was built in the 14th century, the castle was the impressive family stronghold of John Thirlwall. The period between 1300 and 1600 was tumultuous and the castle was reportedly a very safe haven. 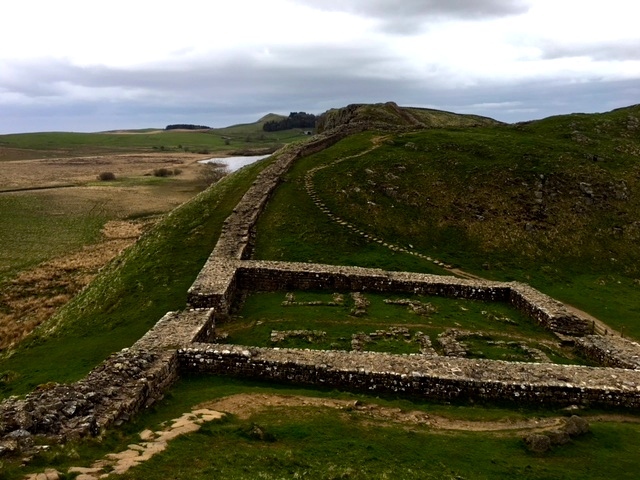 Having Hadrian’s Wall close by made it a piece of cake for him to plunder the neatly cut stone and build a strong, perfectly formed fortress to thwart any enemies. With its four corner towers and spacious dining hall it must have been the envy of the neighbourhood. Studying the floor plans however, we realised that no estate agent would have touched it with a barge pole .. it only had one bedroom. Can you imagine. It was easy to see the three different floors of the original building. The lowest was used for farm stock during the winter .. a convenient source of heat for the rest of the castle. The middle floor was mostly taken up with the capacious dining hall. And the top floor sleeping quarters. 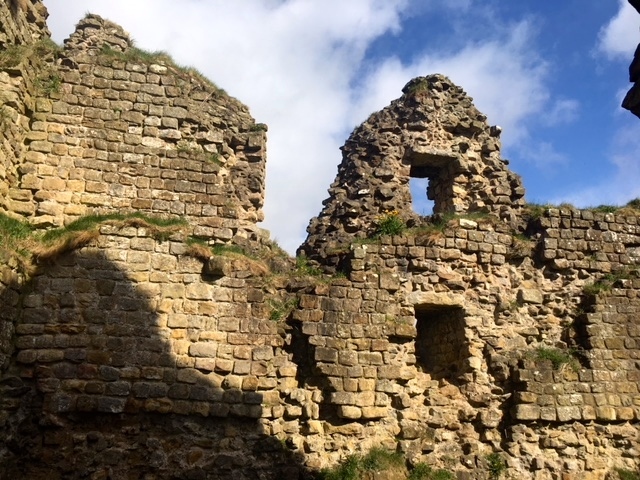 As a last resort, if the enemy did manage to break into the castle, an escape route via a secret tunnel to Blenkinsopp Castle was dug out, a mile and a half away. But my favourite bit of history about Thirlwall concerns one courageous Sir Percival Thirlwall, who was killed at the Battle of Bosworth in 1485. He was fighting in the Yorkist cause as Richard’s personal standard-bearer. He held up the standard even after his legs had been cut from beneath him, bravely serving his master to the end. Plucky even by Black Knight standards. Leaving the castle behind we crossed a pretty little burn and bumped into Billy, a very energetic and friendly black lab returning from his early morning walk. 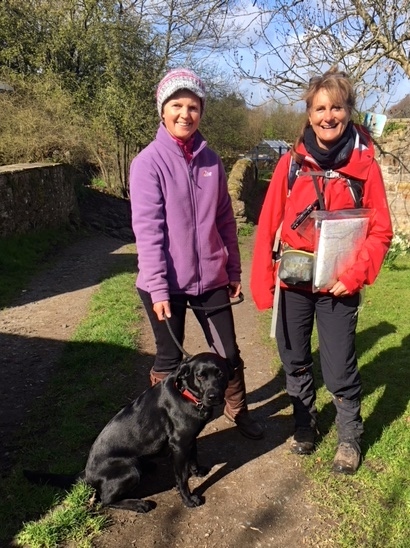 We had a lovely chat with his owner, explaining all about Walking The Black Dog and then after pats and strokes with the very glossy Billy, moved on. Before seeing the Wall we came across the Vallum .. the ditch which added a further layer of protection to the Romans when they were using the Wall. 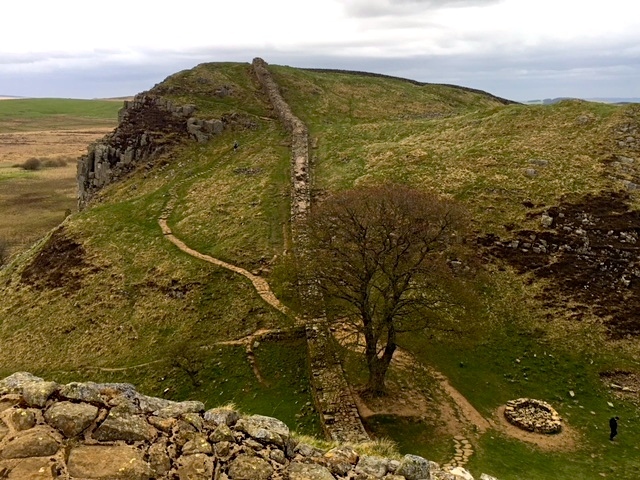 Choosing one of the narrowest stretches across the north of the country, the Romans built a wall of 73 miles to separate themselves from the Barbarians. The frontier across Europe was already over 3000 miles. As you might have guessed it was Emperor Hadrian who most likely came up with the design in AD122, interested as he was in architecture. It took six years or so to build by legionaries, the citizen-soldiers of the Roman army. 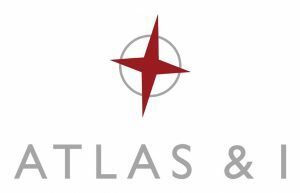 They had specialists in stone masonry, architecture and engineering among their number. No wonder it has stood the test of time, albeit with more modern day builders plundering the Wall for use as their own private quarry. The whole project was a pretty elaborate affair with mile castles every ..well yes, every mile and two outlook posts called turrets, in between each pair of castles. 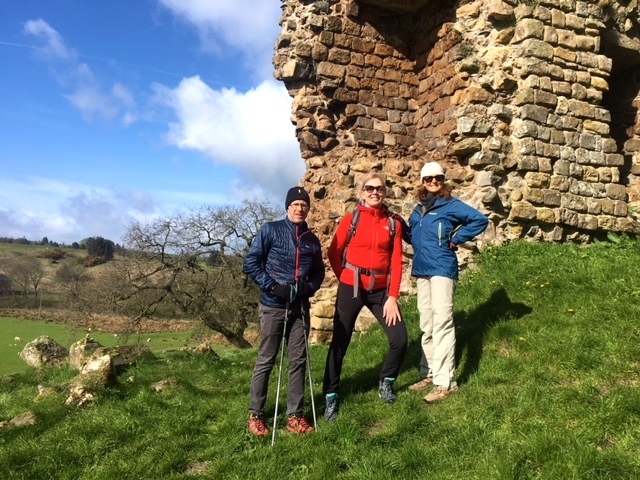 So, effectively there were lookouts every third of a mile to spot marauding Scots approaching the Empire. 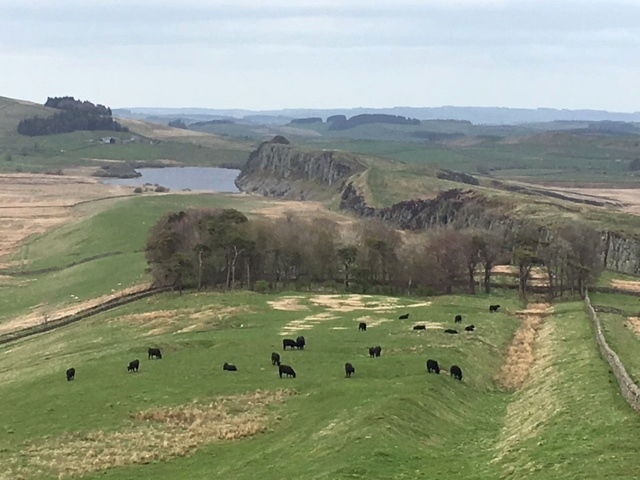 And if the sentries at the lookouts hadn’t spied the men daubed in blue approaching, the would-be invaders may have fallen down into the Vallum. The stones for the Wall were very neatly and regularly cut. At times it was difficult to believe the Romans did all this without help from modern machinery. 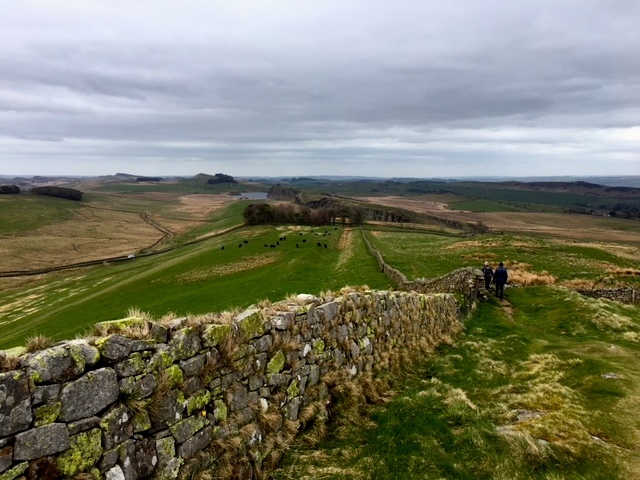 You’d think that Northumberland was a pretty bleak posting for a Roman soldier. But there’s evidence that they might have been the originators of the phrase, ‘There isn’t such a thing as bad weather, just bad clothing’. In the winter months they kitted themselves out with sheepskin jackets and sheepskin boots .. the first Ugg boots!! (Roll over Australia!) Some of the more advanced forts, such as the one at Housteads, had underfloor heating for the elite quarters. If you didn’t have that luxury, you’d stable your horse in the front room of your house to generate heat. Ditches beneath the horses took care of their waste. And, get this, some of the loos were even inside and flushed! Apparently, when it has rained hard today, it is easy to see just how the drainage worked by standing next to the pipes leading away from the latrines. There’s even evidence to suggest that the equivalent of pop up cafes were set up at the mile forts .. you can imagine that the build created a whole new market of hungry punters for an opportunistic chef. The famous Roman cookery book called Apicius, includes a recipe for something that looks a lot like a modern burger! The Wall also attracted a regular United Nations of nationalities when it was still a building site .. people from northern Europe dominated but there were men from as far afield as Spain and Syria who rubbed shoulders as they created this 2 metre high work of engineering. It took around 15,000 of them six years to build. Beck and John, who farm in New South Wales, Australia were as green with envy, as the pasture itself. Currently they are going through a very dry and arid patch with worryingly little grass growing for their cattle. There was very interesting chat all along the way about the differences between farming here and there. I’m hoping to get Beck to be a guest editor tomorrow and chat a bit about it. There’s a famous tree along our part of the route today. It’s a sycamore and nestles in a ‘nick’ that was naturally chipped away by vast amounts of meltwater flowing beneath the ice sheets that once covered the area. 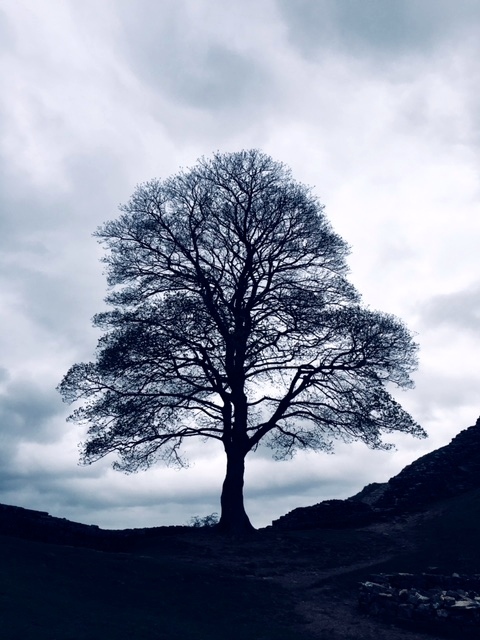 The tree is one of the most photographed trees in the country and has been used as the logo for countless products, including the rather tasty locally brewed beer ‘Sycamore Gap’. More recently the tree has become something of a media star, stealing the show in ‘Robin Hood Prince of Thieves’ with Kevin Costner, in the tv series ‘Vera’ starring Brenda Blethyn and in Robson Green’s ‘More Tales from Northumberland’. 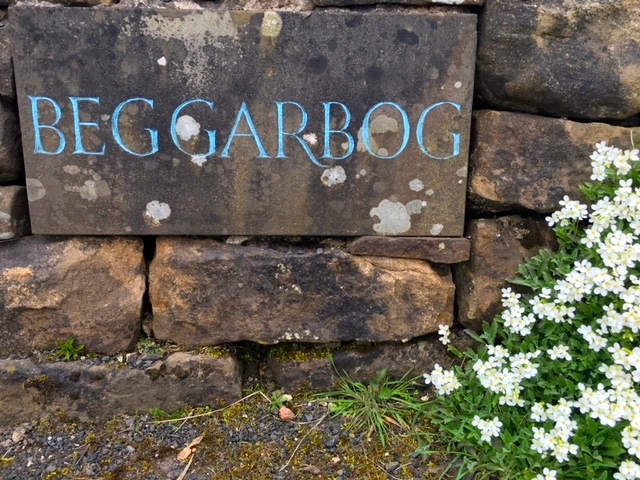 After a very disappointing tea with powdered milk at the National Trust Museum at Housteads we arrived at the splendidly named Beggar Bog B&B for the night. Tea with real milk and a most delicious home-made Victoria Sandwich with home-made jam awaited us. 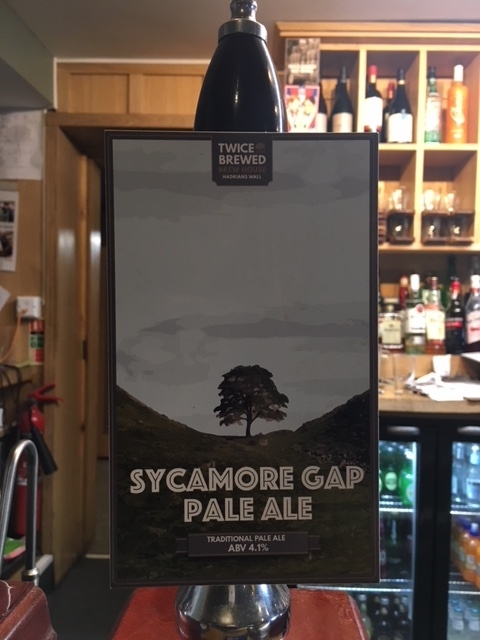 A wonderful end to the walk, ahead of the best dinner of the walk at Twice Brewed, home of the Sycamore Gap Pale Ale. 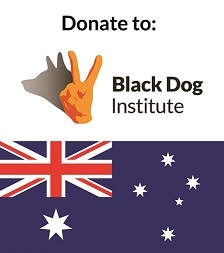 Sorry for the lack of Black Dog Tail today .. will make up for it tomorrow with a digitial link to the wonderful Seth and Eddie, walking the 15 national trails for Alzheimer’s Research. I enjoyed that, Jules. These bloody black labs get everywhere. Ha. So nice to see Bec and John joining you Jules. Loved the wall photos! 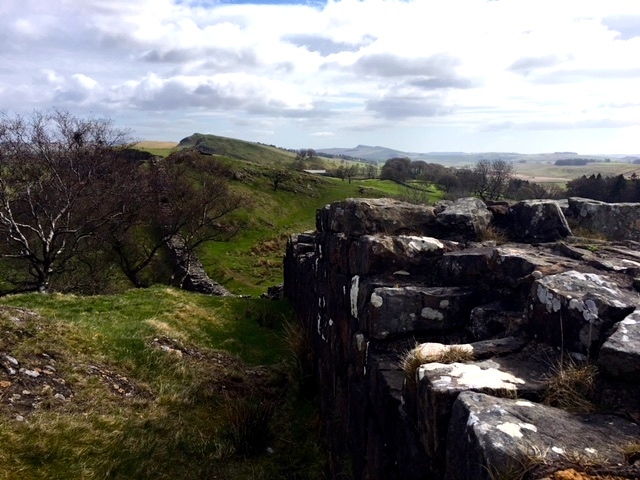 I was marveling at Hadrian’s wall when I was fourteen and on student exchange to England. Btw I would like to sign up for a copy of your book. To have all your stories, photos and drawings bound together would be awesome.